Douglas Skelton, one of Scotland’s foremost Tartan Noir authors, is muscling in on new territory with a leap across the Atlantic in his new crime thriller, The Janus Run, published by Contraband on September 20, 2018. In a clear departure from the Glasgow setting of his previous books, Skelton has turned to the mean streets of NYC for the action-packed story of a man on the run from… pretty much everyone. When Coleman Lang finds his girlfriend Gina dead in his New York City apartment, he thinks nothing could be worse…until he becomes the prime suspect. Desperate to uncover the truth and clear his name, Coleman hits the streets. But there’s a deranged Italian hitman, an intuitive cop, two US Marshals, and his ex-wife all on his tail. And trying to piece together Gina’s murky past without dredging up his own seems impossible. Worse, the closer he gets to Gina’s killer, the harder it is to evade the clutches of the mysterious organisation known only as Janus – from which he’d long since believed himself free. 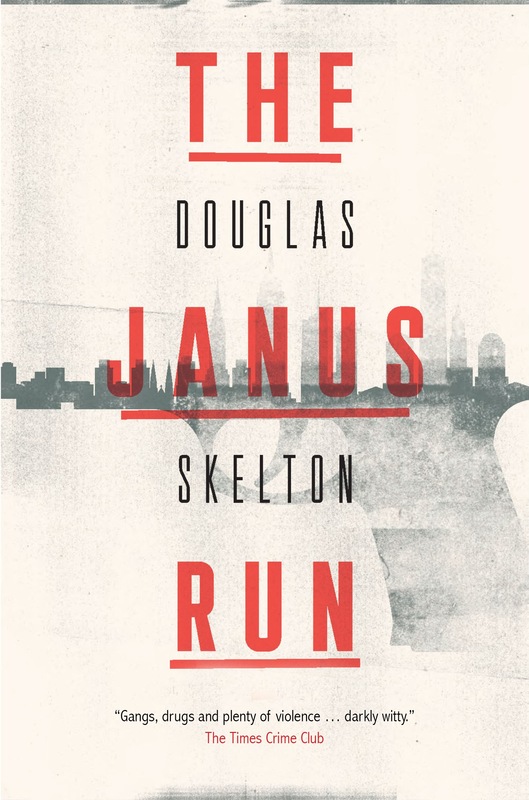 Packed with plot twists, suspense and an explosive climax, The Janus Run is an edge-of-the-seat, breathtaking thriller – NYC noir at its finest, from a crime-writing talent who hits the mark every time.